Two months since Windows XP support officially ended, 25% of web users are still on the unsupported Microsoft operating system. The data collected by analytics company Statista, based on 160 million visits to 40 million websites, shows that Microsoft will struggle to migrate users still running XP to upgrade. Commenting on the Statista data, Tim Erlin, director of security and risk at Tripwire, said those still using Windows XP are putting their data at risk, despite clear warnings from both Microsoft and the information security industry. "This data shouldn’t surprise anyone because the users who were still on XP by the time the end of support deadline passed were already those who either can’t or can’t be bothered to upgrade," he said. 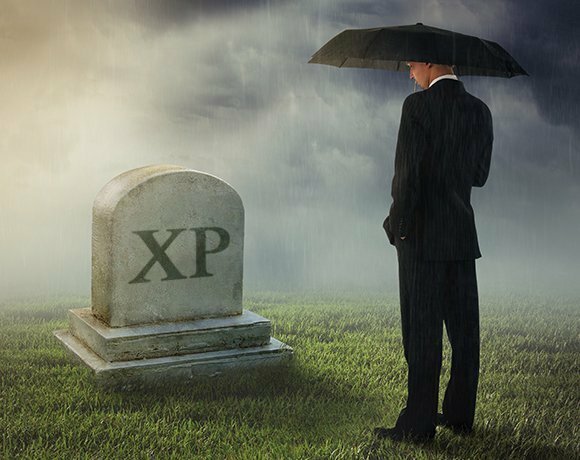 "The XP holdouts have already demonstrated their ability to stick with the ageing platform, so we can likely expect this population to dwindle only through hardware failure, lack of software compatibility and compromise." A large number of organisations are in the process of migrating away from XP, but large-scale migration projects take months, if not years, to complete. For many, the only viable option is to buy a custom support contract. At the start of April, the UK government signed a £5.5m contract with Microsoft to cover critical and important security updates for Windows XP, Office 2003 and Exchange 2003, all of which have reached end of life in Microsoft’s normal product cycles. But for some users, custom support will be too costly. As Computer Weekly has previously reported, running XP in a sandboxed environment can limit security risks, but some users will inevitably look for other options. In May, an article published on the Beta News website, showed users how to tweak the Windows Registry with a single line of text, which allows XP users to continue getting updates by pretending the OS is Windows Embedded Industry, an operating system that Microsoft is committed to supporting until 2018. Users on the website have reported that the tweak does indeed update Windows XP SP3, but in an official statement, Microsoft said: "The security updates that could be installed are intended for Windows Embedded and Windows Server 2003 customers and do not fully protect Windows XP customers." 25% seems to be a strange number. More than a half of users are typically mobile device based.